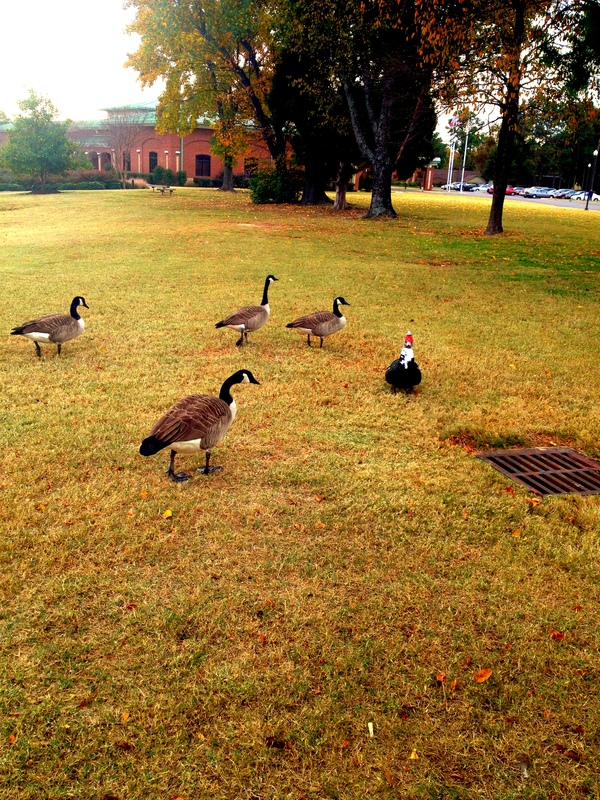 This family of Canadian geese often have one odd-looking member in their midst: a duck. Wherever they go, he goes too. I wonder if he knows he’s not like them or if maybe he just doesn’t care. From the look of things, he’s a member of their family.